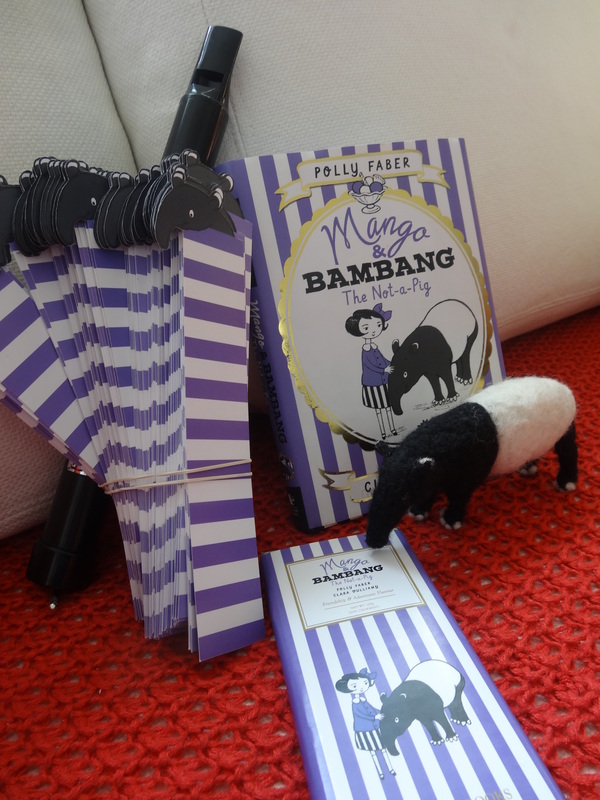 Today is OFFICIALLY one month until the first Mango and Bambang book will OFFICIALLY be available in OFFICIAL actual shops. I reckon it’s time to try and stop the bouts of frankly annoying, self-indulgent angsting and start enjoying the fun. It helps that kind people with advance copies are saying kind things. 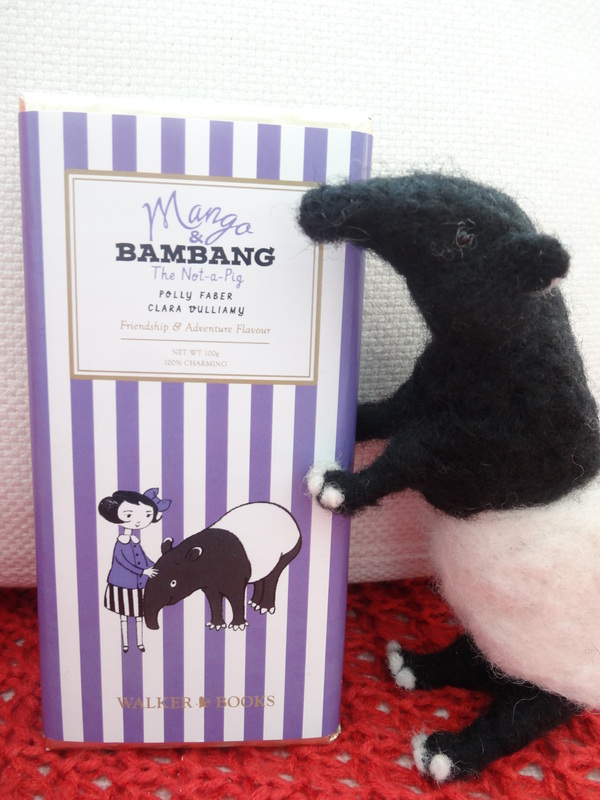 It helps that I’m about to go on holiday (taking Bambang too of course, to fill him full of ice cream and sunshine before his big book birthday). It helps that I have been sent a BAR OF CHOCOLATE WITH MY ACTUAL NAME ON by Walker books Australia. 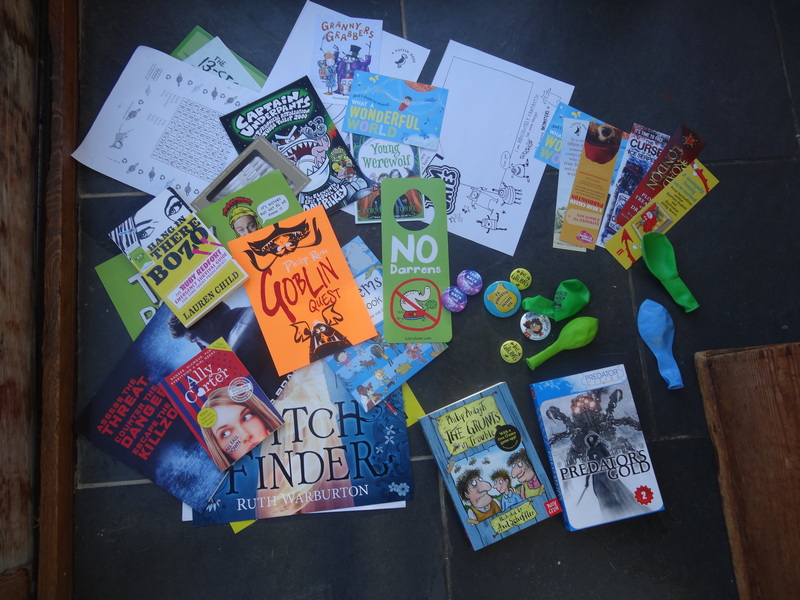 I have a pile of bookmarks and two swanny whistles. I’m (almost) ready to be a proper published author. I’ve got a bout of stage fright. I’ve done some performing. An early interest in shameless showing off led to drama camps and school plays when I was a teenager. Followed by various different trips to the Edinburgh Festival, to sleep on floors and play to audiences of 3 as a student. I even thought I wanted to be a stand up comic at one point. Although I came to realise that this was in NO WAY what I was best equipped to do, and gave up public showing off in favour of occasional party outings to a karaoke booth, I never suffered from true stage fright. Butterflies and bouncy excitement yes- but not the paralysing, toilet dashing, sweaty sleepless sort that stops people speaking in public. Yet here I am, 6 weeks away from the publication of my first book, and -OhYesHello- PROPER nerves are building. Whatever else I’m up to at the moment, thinking about, dreaming about, there is a low level accompanying backing track. It beats out the “But what if they don’t like it?” rhythm (with a bit of snare drum and a light thwack of the cymbals at the end). This is, I realise, Standard Issue Anxiety for debut authors (non debut too). And I am more fortunate than most, because if I can’t quell anxieties about my words, I can look at Clara Vulliamy’s beautiful, warm and funny pictures in Mango and Bambang and calm down. Surely no-one couldn’t like them?? I know, when I am being sensible, that the answer to “But what if they don’t like it” is a simple, “Never mind”. Not all books can be for all people. And I know that I am the luckiest of the lucky to have a book coming into the world to be nervous about at all. Such sensible thinking doesn’t stop the early-morning-chewed-nail-wake-ups though. I suppose because this ‘performing’ on a page turns out to be more me than the on a stage sort. Last week Clara and I had to conquer our stage butterflies too as we made a small promotional film about our lovely (IHOPEITHINKBUTOHHELPWHATIFIT’SNOT? )(see what I mean?) book. 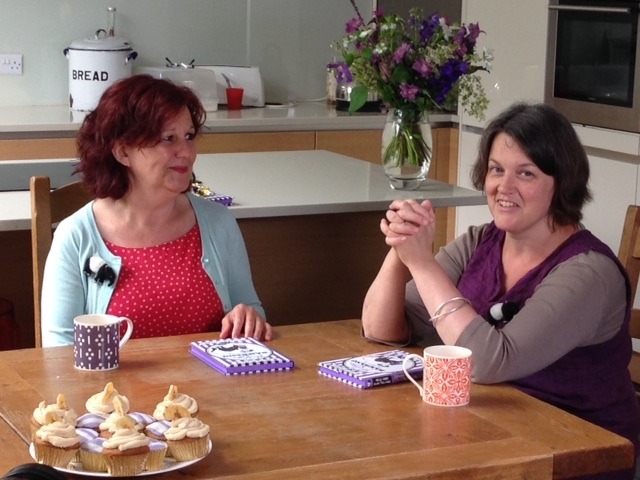 It was cake fueled and giggle-inducing fun but hard; to talk sensibly and concisely. Actually it was hard to even get to the end of a sentence without forgetting how it had started. Oh dear. When I see the finished product I know I’m going to be watching it from behind a cushion, like a particularly scary Dr Who episode: Aaagh- my voice! Eurrgh-my face! Who IS this charlatan pretending to be an author? Why has no-one found her out yet? All I can say is hooray for the school summer holidays. 6 weeks of wrestling adjudication, tree climbing, water sprinkler running and fighting with sticks will help use up nervous energy and keep things in perspective. Because otherwise- EEK! Exciting but really, surprisingly, EEK. Making Mango and Bambang-The Movie. See how terror led me to adopt Documentary Presenter Weird Hand Clasp. 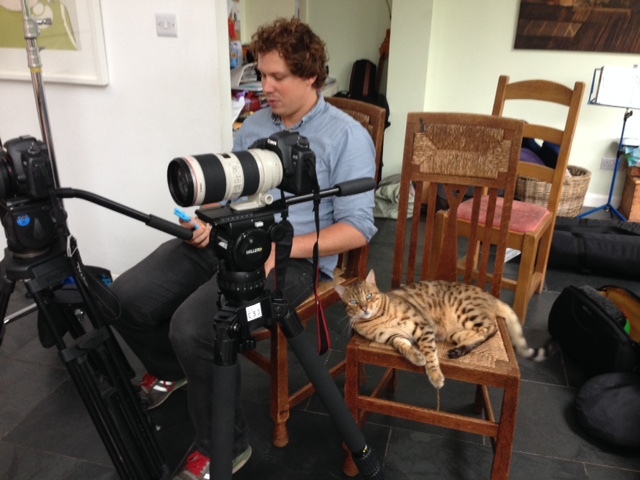 At least Jones the Cat lent a steadying if sceptical directorial presence. Today is Midsummer; June 21st and it’s both Father’s Day and my mother’s 80th birthday. My father died 10 years ago and is no longer around for me to fail to remember to send him a card in time. My mother missed out on even more cake and candle opportunities; her last birthday was her 48th. 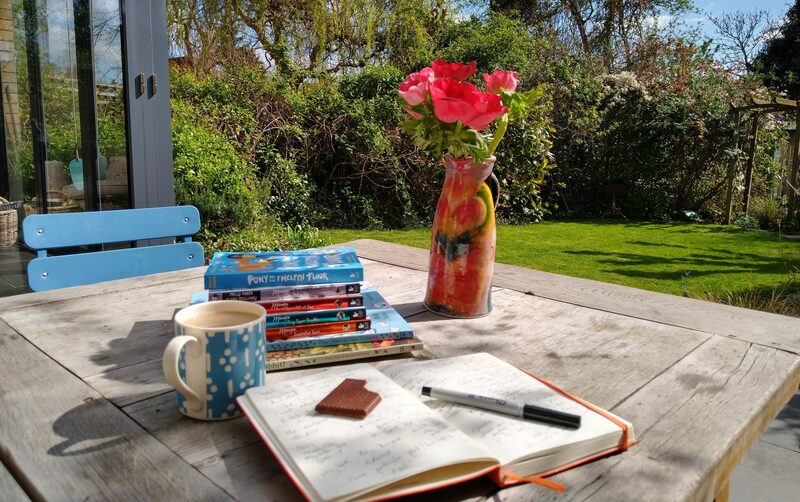 Ah but it IS Midsummer, and if the sun is not quite shining yet, the roses are in full bloom, the first sweet peas are out and I have plans for making chocolate cake and eating strawberries. Being maudlin is no kind of remembrance- a celebratory day is called for. And- hooray!- there ARE things to celebrate. 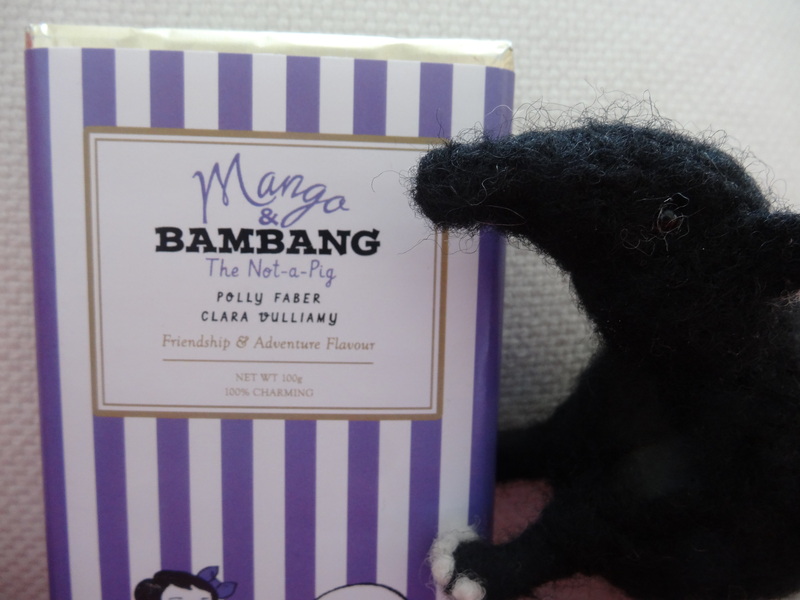 Mango and Bambang are getting ready to meet the world. And their existence in beautiful stripy purple and gold hardback is a direct legacy of the years I did get to spend with my parents. Of their love. The words I wrote are in part my mother’s and my father’s, born out of all the words they read and spoke to me. Not to mention the words they wrote themselves: I have a box full of my mother’s letters which, although I was of course not the original recipient, make me laugh with recognition as she details the highs and lows of domestic life. Letter writing is a vanishing art but she was really a master of it. Just like mine as you can see…teehee. Definitely a chocolate cake and strawberries day then. 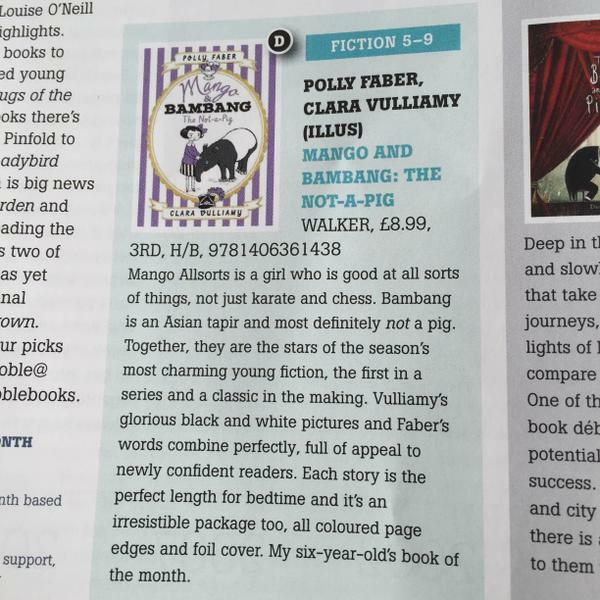 Because being a six- year-old’s book of the month is really what it’s all about. 1. Jumping up and down. 2. Indeterminate happy yipping-type noises. 4. Sliding of cheek up and down smooth glossy front cover. 6. Stroking and tilting to make gold shiny bits catch the light. 7. Genuine moment of wondering whether might be possible to carry book forever/wear it/have it implanted onto shoulder or against forehead as permanent ‘LOOK AT THIS BOOK!’ fascinator/parrot type accessory. 8. 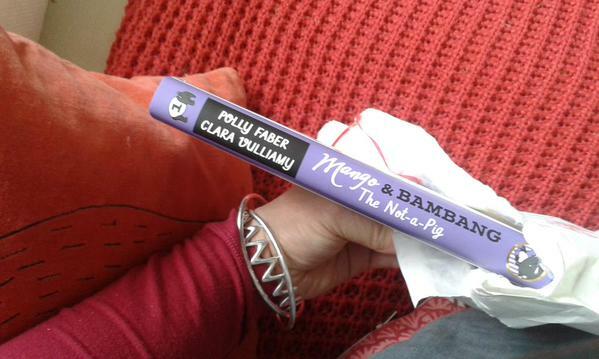 Shouting ‘LOOK, LOOK, LOOK AT THIS BOOK!’ instead to family, cat, passers by, friends and strangers on the Internet. 9. 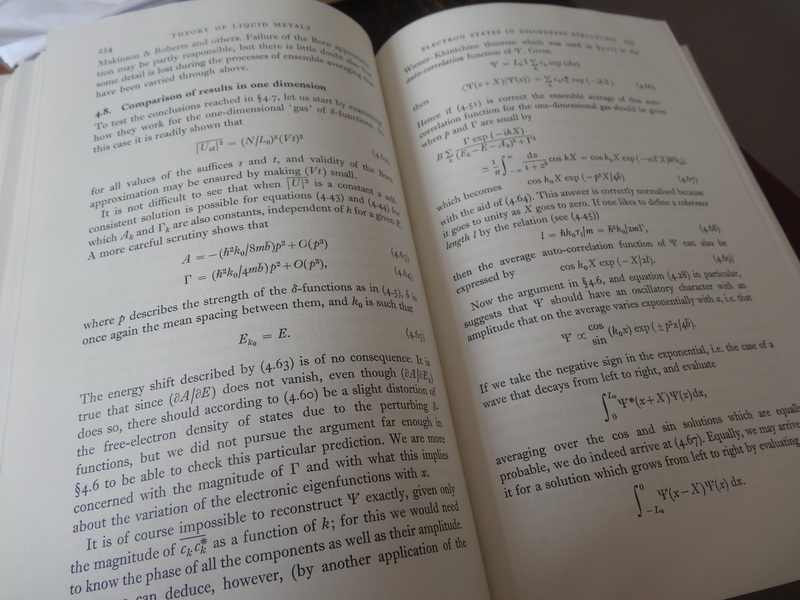 Calming down a bit (but only a bit) and actually reading book. 12. 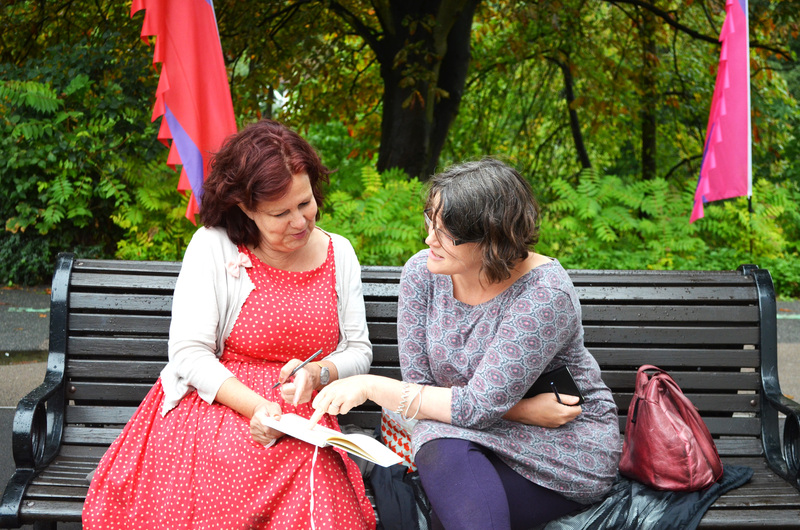 Giving yourself a firm talking to to stop noticing and resume jumping, clasping and shrieking. 14. Graciously accepting your children’s grudging acknowledgement that that definitely IS the sound a tapir’s tum makes on stairs. 15. 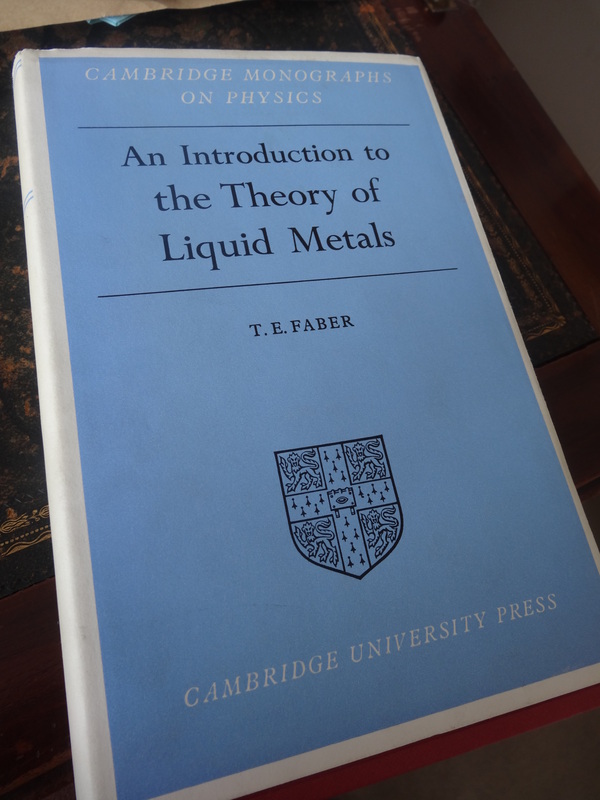 Over next few days, forgetting you have your first copy of your first book briefly, then remembering, then leaping up to grab it and start again from 1. …badge. But looking at it on the way home from my first proper publishing party gave me a small glow of pride. 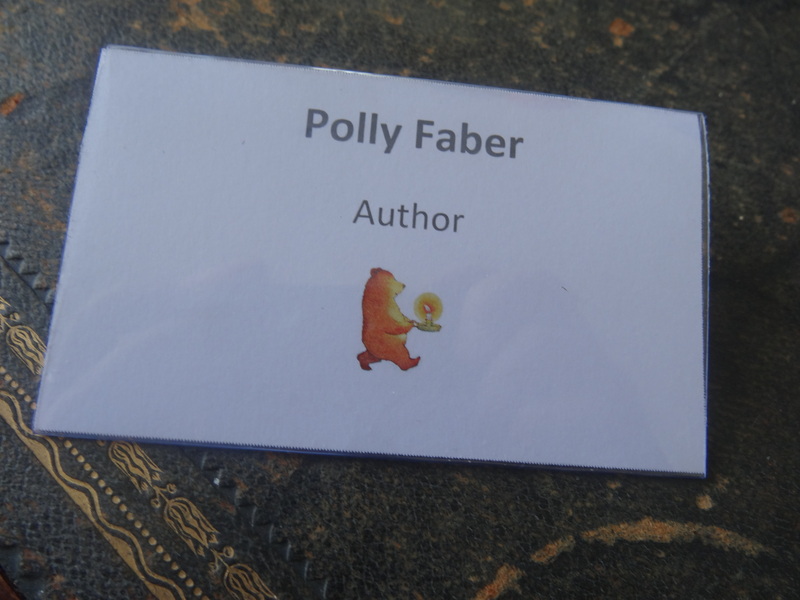 Am I really an author? Yes I am. I AM! This morning I became aware that today is a very special day indeed. 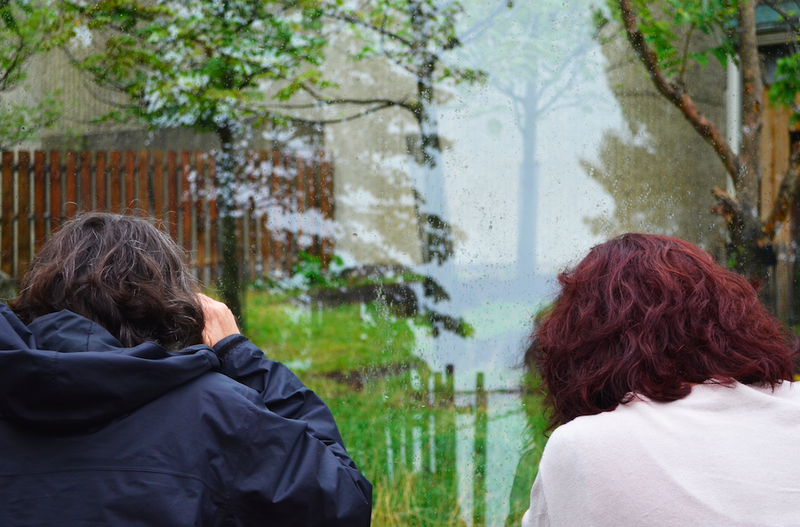 When Clara and I were first discussing what we might make a book together about, we went in search of a hero to the zoo. We wanted to find a previously unsung animal. A perhaps less than familiar animal. We are both very fond of stories about bears and rabbits and elephants and cats and so on but it seemed to us both that they might have had rather more than their fair share of moments in the spotlight. That it might be someone else’s turn. We had an inkling of who that someone might be. The fact that at first they were very difficult to track down only added to the excitement. A rather shy animal then? And we fell in love. A love only enhanced by the fact that so many passers by did not seem to quite know what they were looking at (my sneaky lean against the information board may not have helped): “It’s an elephant!” “It’s an aardvark!” “It’s an anteater!”. My favourite was the extremely confident man who identified it to his trusting girlfriend as “an enchillada”. But the vast majority were pretty sure they were looking at a strange variant of a pig. Do you know what we were looking at? 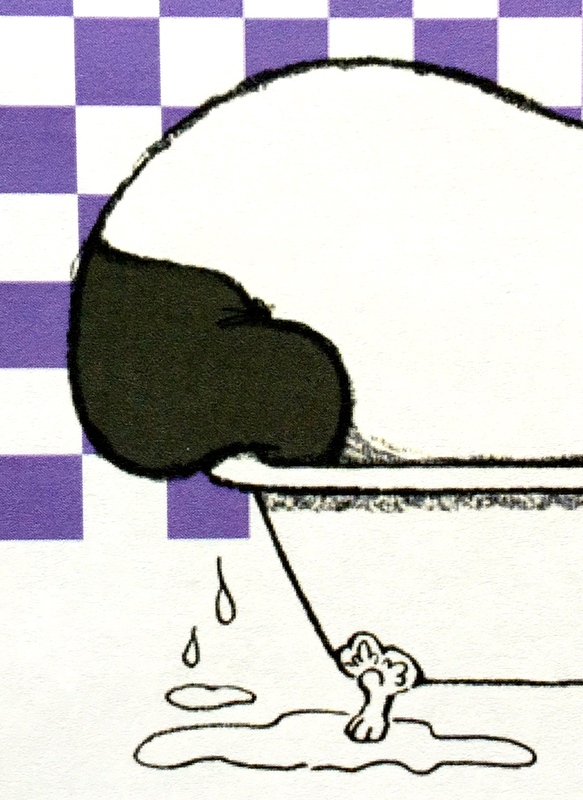 Shall I give you a better picture to guess from? How about now? Of COURSE you do. 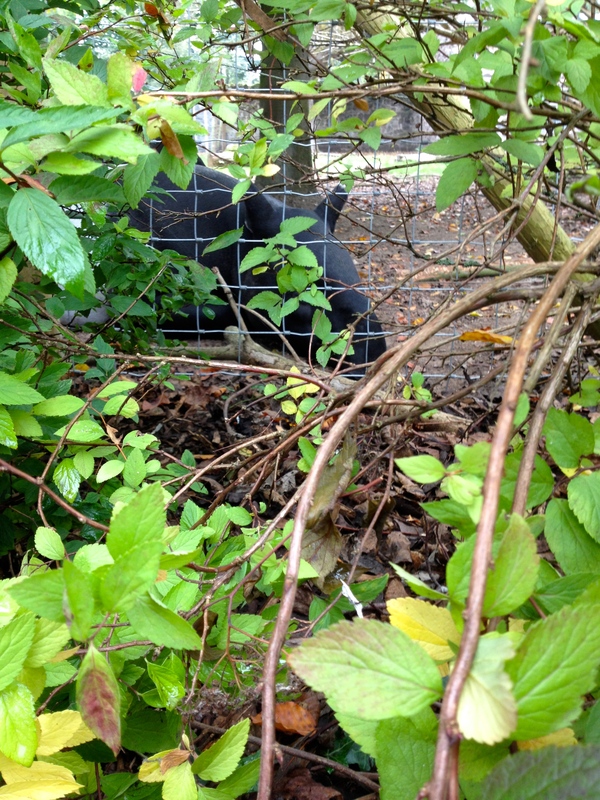 You know the difference between a Mexican sandwich and an Asian tapir! 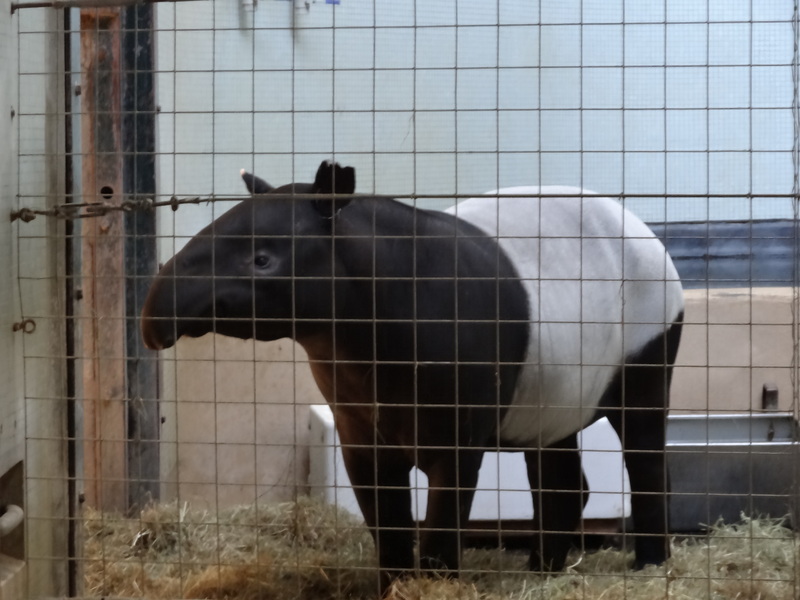 (The largest of all the tapirs, sadly endangered and the only black and white striped one) Aren’t they delightful and deserving of many, many books written about them? 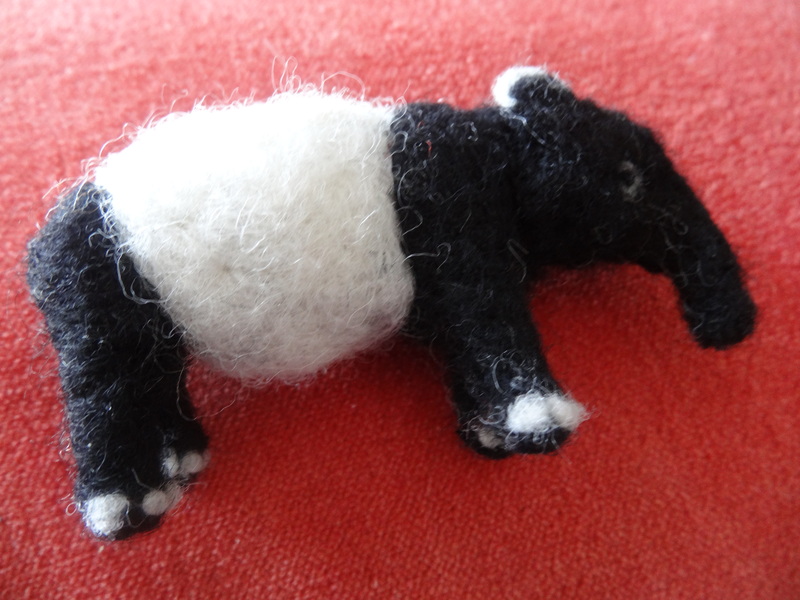 Yes- today is World Tapir Day and I am proudly declaring myself as Team Tapir Forever. 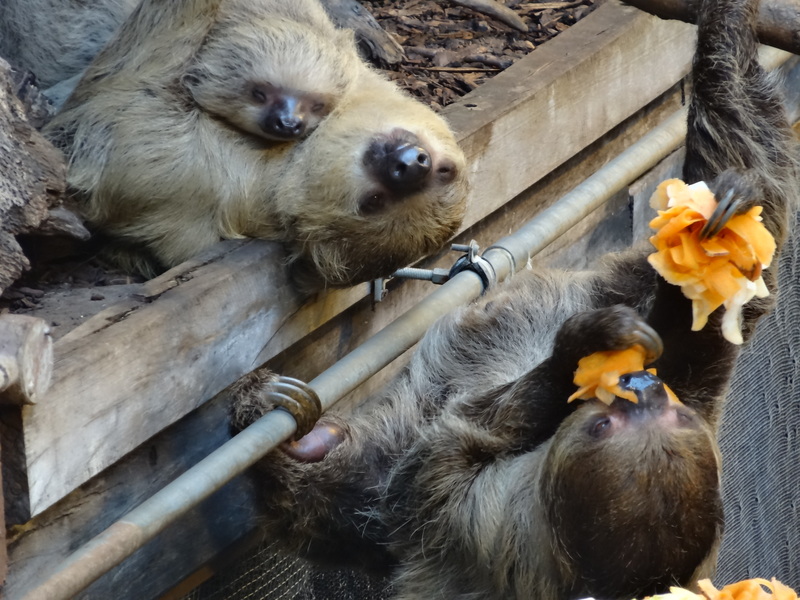 I have a dream that one day I’ll go to the zoo and everyone will know exactly what they are, and that Clara and I will have helped in a small way to bring that about.